I am unsure of anything that is better than a deep dark rich moist fudgy chocolate cake with a hint of orange. 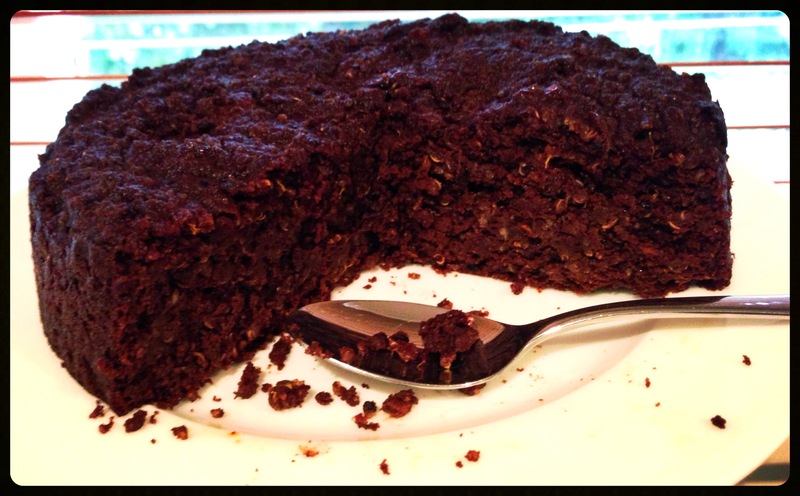 I am sure that a healthy gluten free deep dark rich moist fudgy chocolate cake with a hint of orange that uses up last nights cooked Quinoa is better. Thanks right, its full of good protein, great fats, no gluten or dairy and packed full of flavour! I have a beautiful friend who is having a big birthday soon- not just a party, a dress up party!! I am so excited! 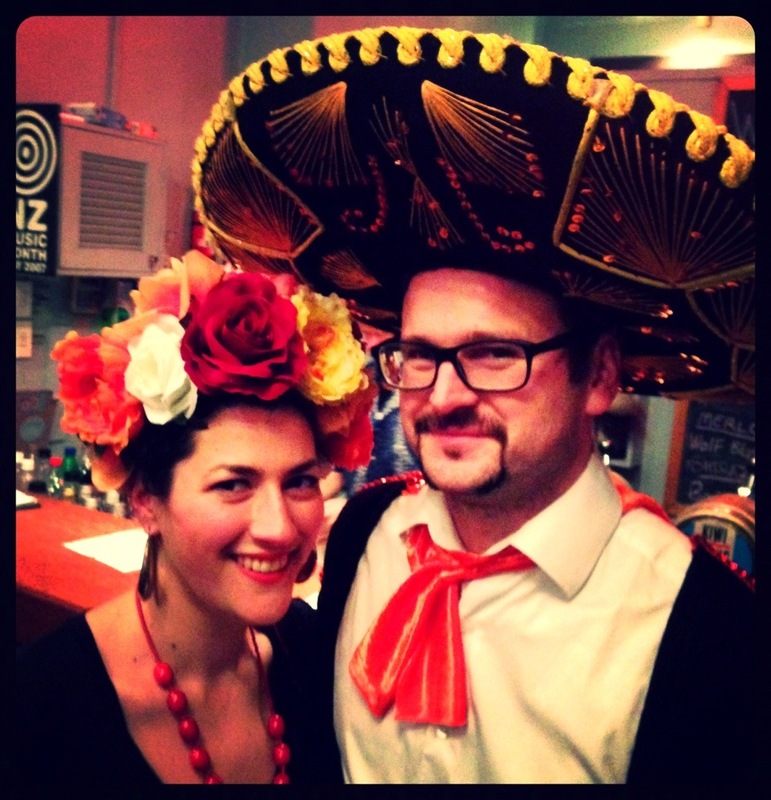 I LOVE dress up parties- so does Mr Lid- just proves we were meant to be. It is a Mexican theme (in an Italian restaurant) I already have a costume in the dress up box- a couple of new years ago we had a Senior & Senorita party and I got a lovely red and black lacy number- but I am not sure I want to wear a dress that is more suited to a hot summers eve- not a 10 degree winters night. After thinking long and hard and being inspired by some amazing fake flowers, I spent last night crafting away making a Frida Kahalo inspired head band and with a bit of luck, drawing on a mono-brow tomorrow night I will be transformed… and after some crafty sewing Mr Lid will be the most handsome Third Amigo. I digress, I am making the cake- for my friends birthday-I am thinking Mexican chocolate with lots of spices and a bit of a punch of chilli, and a margarita cake! Combine all the dry ingredients, add in the wet ingredients except the hot Tequila/water, mix till most of the drys are incorporated. Next pour in the Hot Tequila/water and mix well till there are no lumps and the batter is smooth. Pour into a paper lined 8 inch tin. Bake 140c , check at 2 hours – it is done when a skewer comes out clean. Once out of the oven poke the skewer into the cake all over around 30-50 times. Mix sugar and tequila and heat till dissolved, Add the fresh Lime juice last. Spoon Warm Syrup over the warm cake- you might not need all the syrup. Melt chocolate in a bain marie (i use a heat-proof glass bowl over a small saucepan) and set aside to cool- This could also be done in the microwave. Wipe the bowl of an electric mixer with paper towel and lemon juice, to remove any trace of grease. 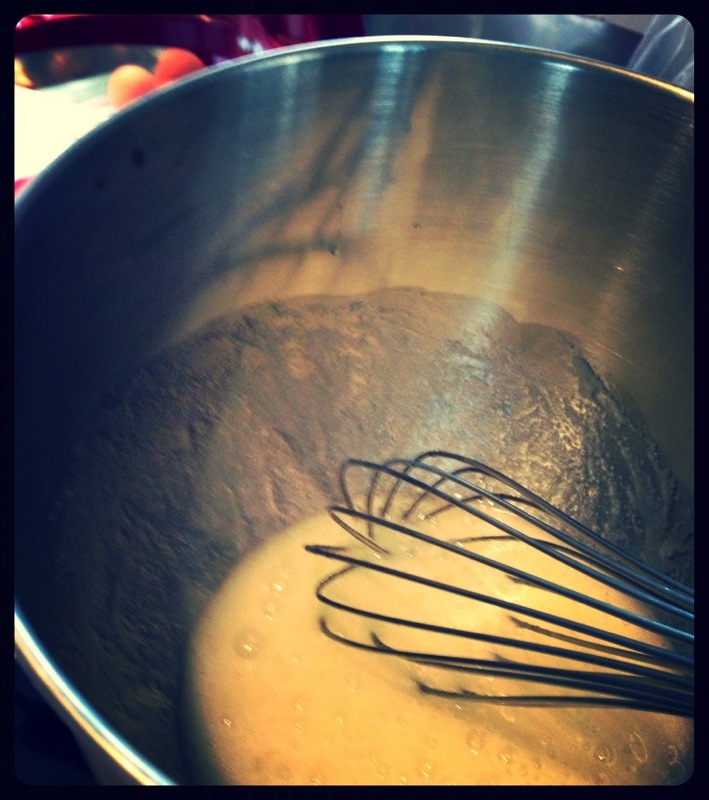 Add egg whites and sugar, and simmer over a pot of water (not boiling), whisking constantly but gently, whisk until the sugar has completely dissolved and the egg whites are hot to touch. 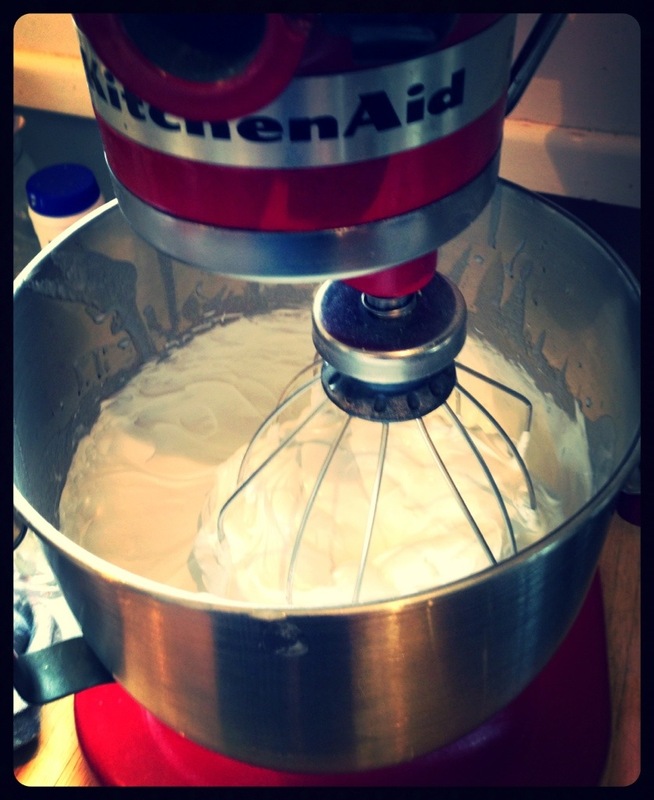 With the whisk attachment of your mixer, begin to whip until the meringue is thick, glossy, and the bottom of the bowl feels neutral to the touch (this can take up to 10 minutes or so). Don’t begin adding butter until the bottom of the bowl feels neutral, and not warm. Add butter cubes, one at a time, until incorporated, and mix until it has reached a silky smooth texture (if curdles, keep mixing and it will come back to smooth). If the mixture is too runny, refrigerate for about 15 minutes and continue mixing until it comes together. 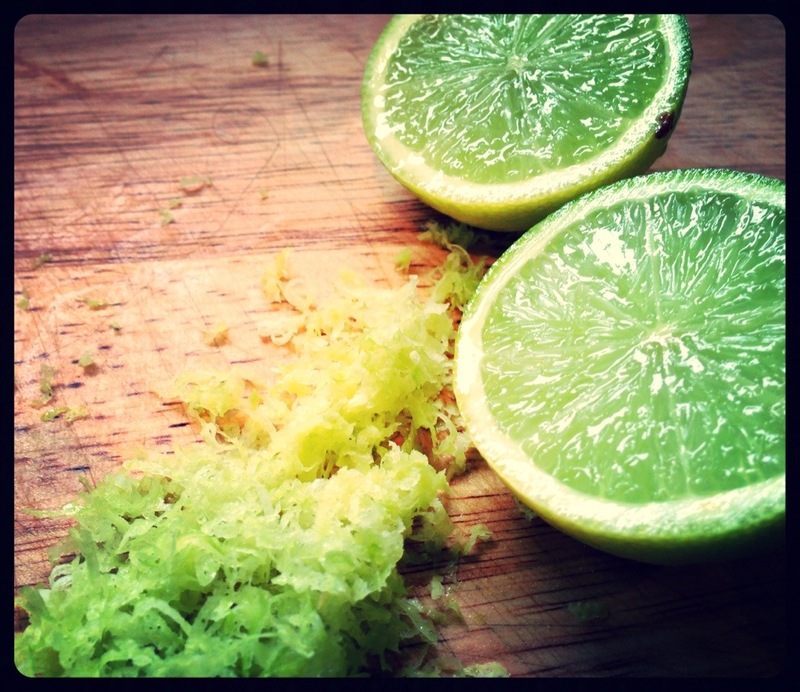 Add Lime juice, zest and salt, continuing to beat on low speed until well combined. Add cooled chocolate, and blend until combined. You can add some Tequila to the Buttercream for and extra punch. Today I am taking my niece and nephew to the movies- I am not sure who is more excited- them or me!!! 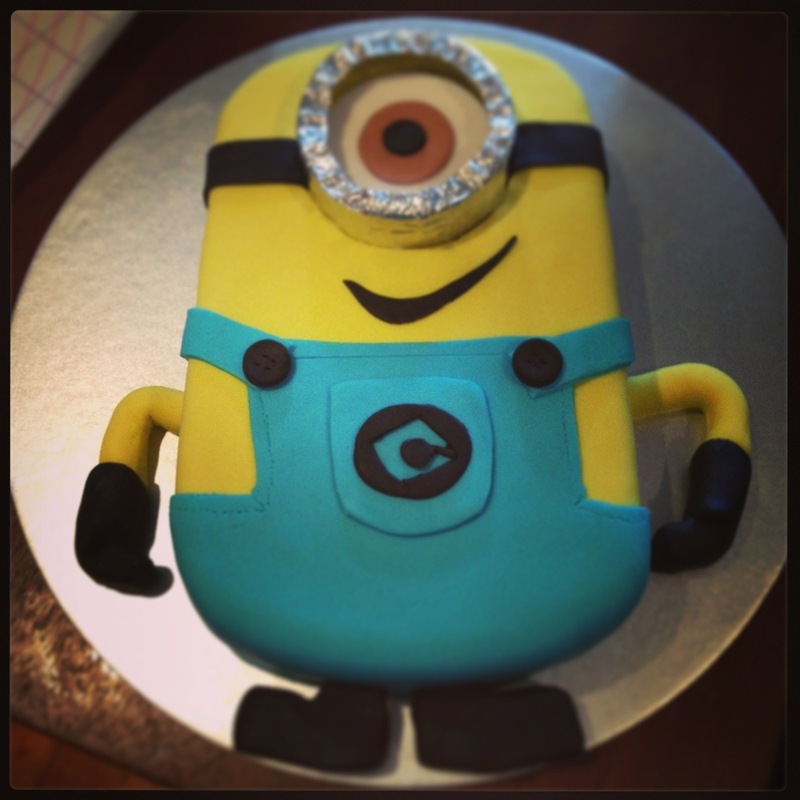 I loved Despicable me 1 and I am sure Despicable me 2 will be just as great! Here is a cake I made a couple if weeks ago for a little girls birthday- wish I had been invited!! Everyone loves cheese cake, but to be honest they are a pain to make on a whim to satisfy 3:30itis or when you get a phone call for a last minute catch up with friends. 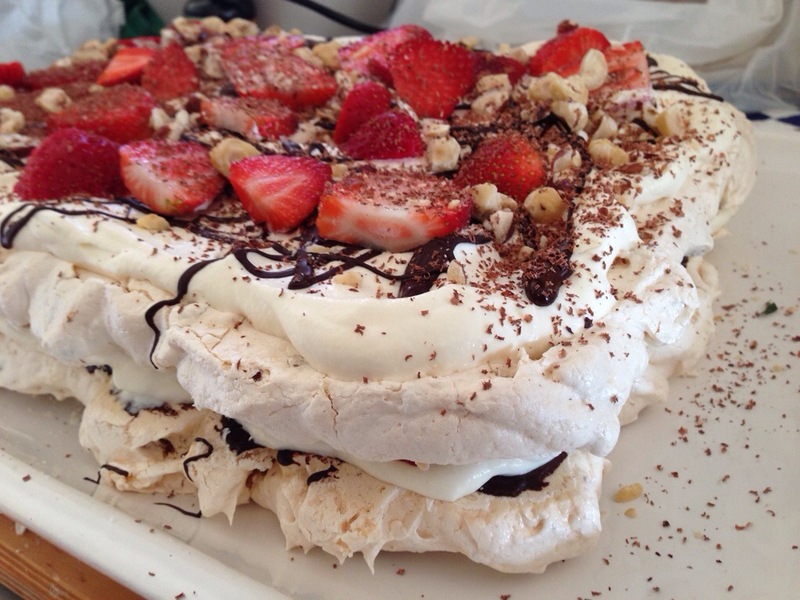 They almost always call for a dash to the shop to get cream, or a tonne of cream cheese, or biscuits for the base. 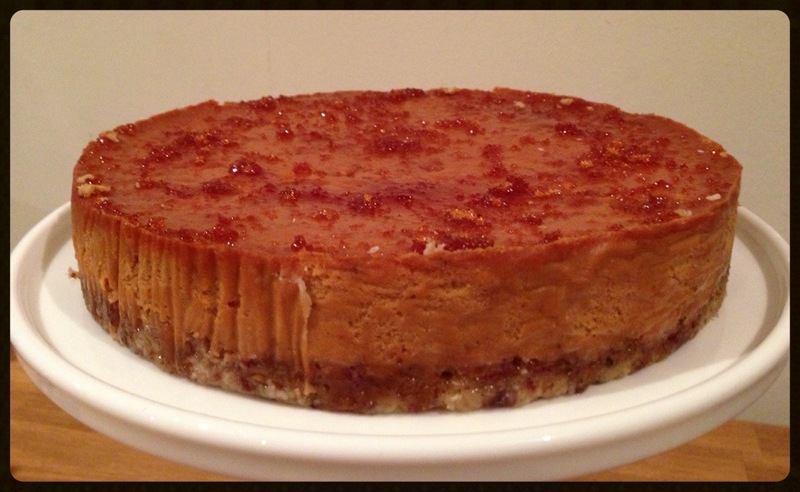 So my mission this afternoon, was to make a cheese cake without leaving the house. Mr Lid and I just had a slice after dinner- so it’s quick. It’s not overly sweet- almost mouse like and it’s delicious! Unlike normal baked cheesecake that leaves you feeling a tiny bit ill, very rich and overindulgent this leaves you wanting more, and then a bit more, and a little bit more after that. Blend dates, coconut and walnuts- you don’t want this too fine. Melt coconut oil and add to mixer, mix till combined. Press into lined tin- I used an 8 inch tin. Now this may put you off- please don’t let it- make a dry caramel by putting castor sugar into a pan, non stick if you have it. Heat on a medium heat- do not stir, just leave to melt. Once the sugar starts to melt you can move it with a rubber scraper till its all golden- do not stir too much or you will incorporate too much air which will crystalise the sugar. Once lovely and golden, take off the heat- add some salt and pour onto grease proof paper to cool. Once cold, break up and blitz in a blender to turn it back into sugar. I like to make around 300g caramel sugar at a time, it can be used in so many ways. 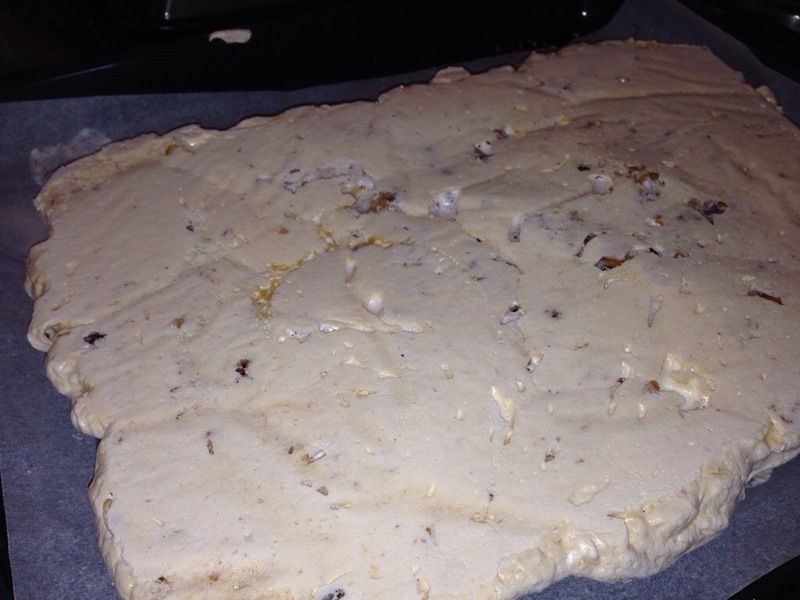 Mix together Sugar, cornflour, cream cheese and sour cream- till almost lump-less. Mix in 1 egg at a time, lastly add the milk and the warm/hot melted coconut oil. Pour onto prepared base and bake 120c 1hour 30min or until when wobbled the middle is almost set. 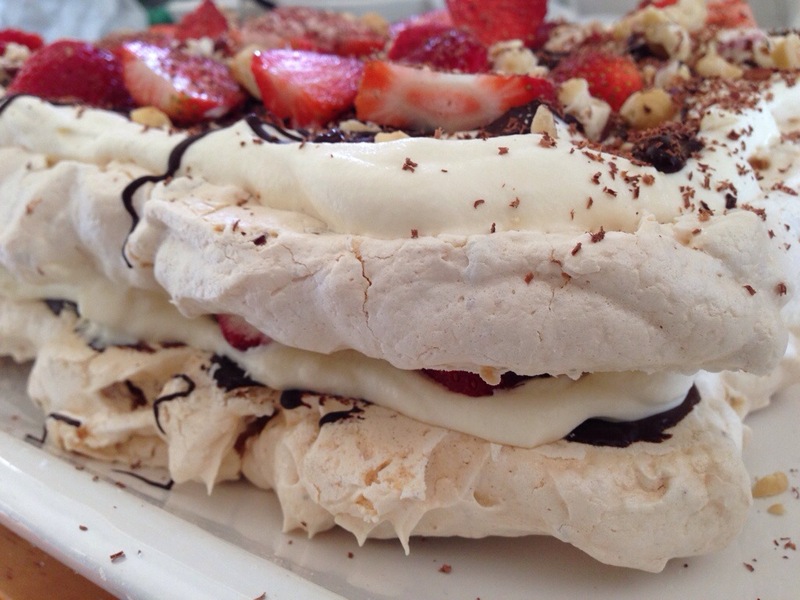 Leave to cool down then pop in the fridge to firm up before unmoulding and cutting to eat. 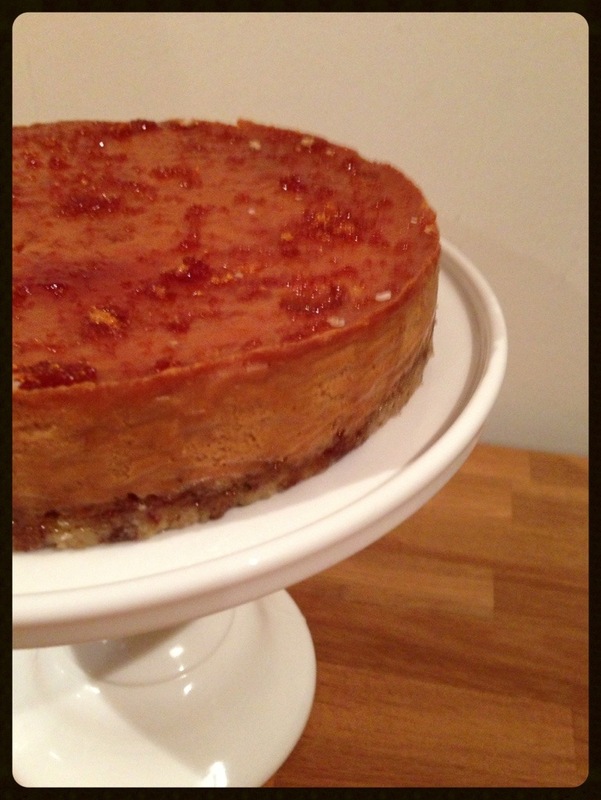 I made extra caramelised sugar and sprinkled it on top, which made this cheesecake almost creme caramel like. 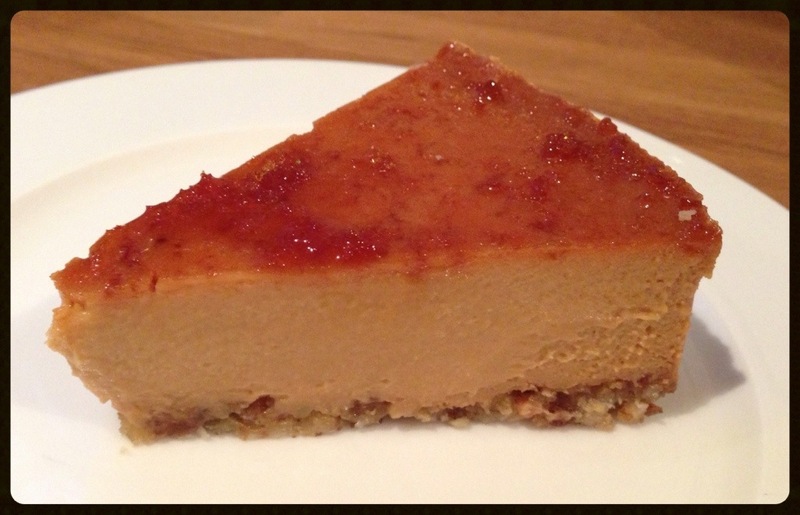 This cheese cake is like no other, it is rich but not overly sweet due to the caramelised sugar. It is quite lite because of the milk and coconut oil. If you do not have coconut oil you could substitute butter. I keep buying fruit that Mr Lid likes, in the hope that he will one day be inspired to take a piece to work to eat for a snack- instead of the lolly bag he has hidden in his filing cabinet. Instead I have a fridge full of rotting fruit. This week its pears. I am lucky I guess as nothing says winter like pears. When thinking of what to make I often sit and think about what I have to use- imagining tasting it, the texture, what will inhance the flavour, what I have in the house to use and how long it will take. 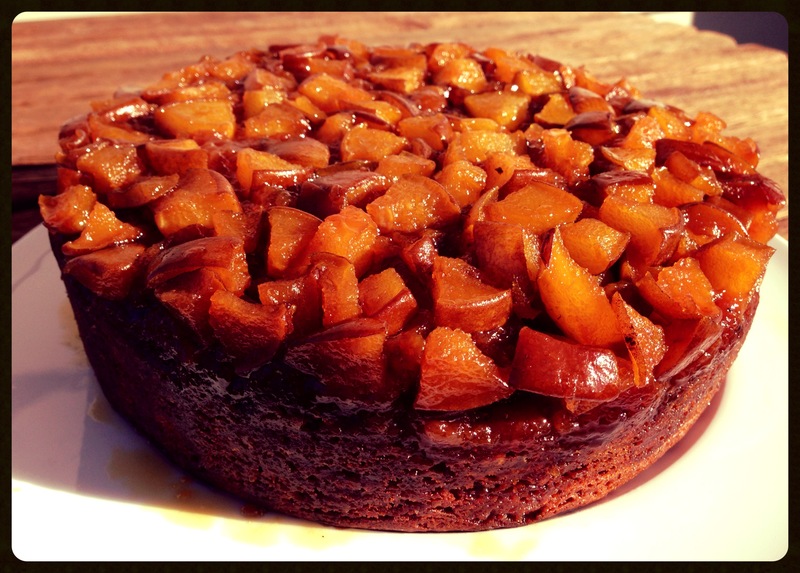 After going through the list in my head- pears, golden syrup, walnuts, ginger, it all starts to come together and nothing is more heart warming or more comforting than pears baked into an upside down ginger cake oozing with golden syrup.. obvious choice. Core and dice the Pears- I left the skins on as I quite like them. Start with a couple of tablespoons of golden syrup and mix with the diced pears- depends how much you want I think I used about 3 heaped tablespoons. Pour pear mix into the bottom of a lined cake tin. Cream butter and sugar, add eggs one at a time mixing well after each addition, next add the 2Tbs of golden syrup- again mixing well. Add the remaining ingredients folding the mix till just combined- do not over mix, or the cake will be tough. Spoon onto pears and bake 160-170c 50-70min depending on your oven- its cooked when a skewer comes out clean. 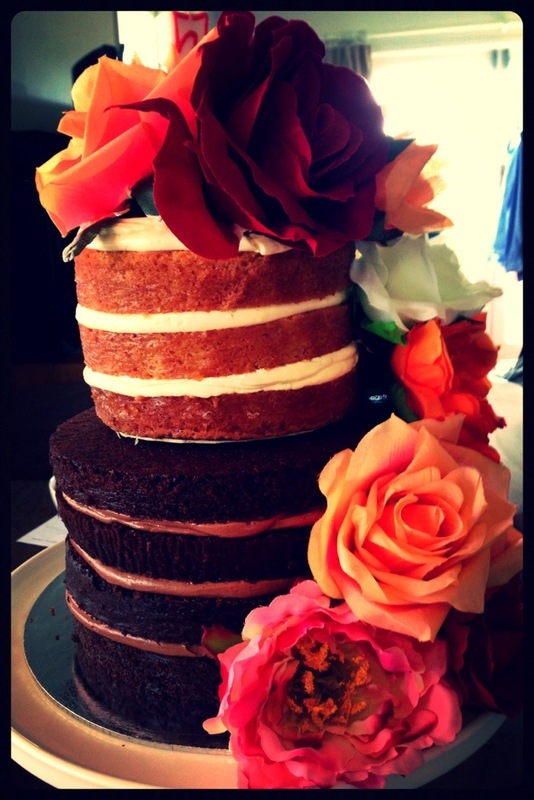 Once cooked let sit 5min but no longer- tip onto a plate and marvel in the glory of such a beautiful cake. Mr Lid has three Dads. Dad one is his real father. Dad two is the father who raised him. Dad three is Dad because he is currently married to Mr Lids Mum. In all the time I have known Mr Lid I have met Dad one twice- once to say hello, and the second time was at our Wedding. He is a lovely man, very typical kiwi, still in his stubbie shorts sitting in his shed watching sport on T.V drinking beer. He lives miles away, up the top of New Zealand with his wife (Mr Lids step mum) needless to say Mr Lids family table at the Wedding was Fun Fun Fun. We are heading up there tomorrow, and in true newly wed fashion I can not turn up empty handed and I have to impress! 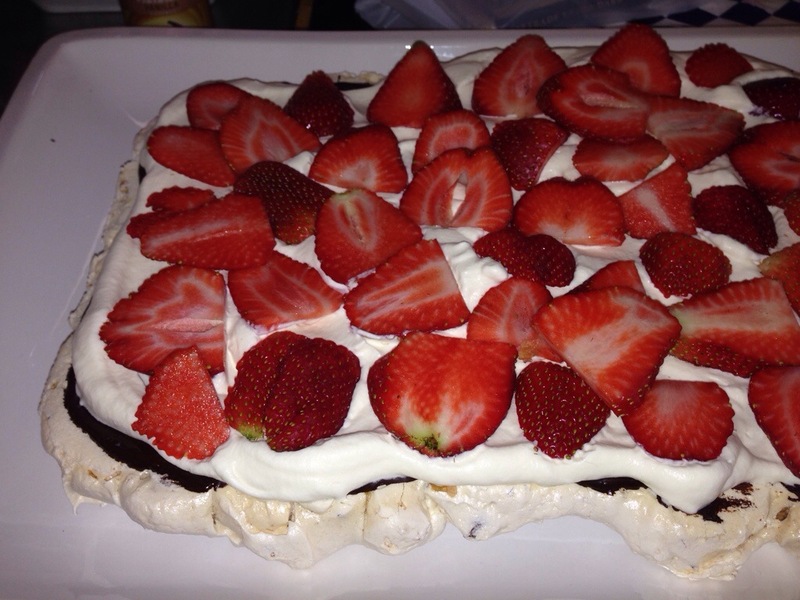 There seems to be a bit of a theme with me and baking- I bake not what I want to, but I bake what the ingredients in my house will let me… racking my brain for recipes or going on the net and typing in what I have in the cupboard and adapting/substituting where I can. 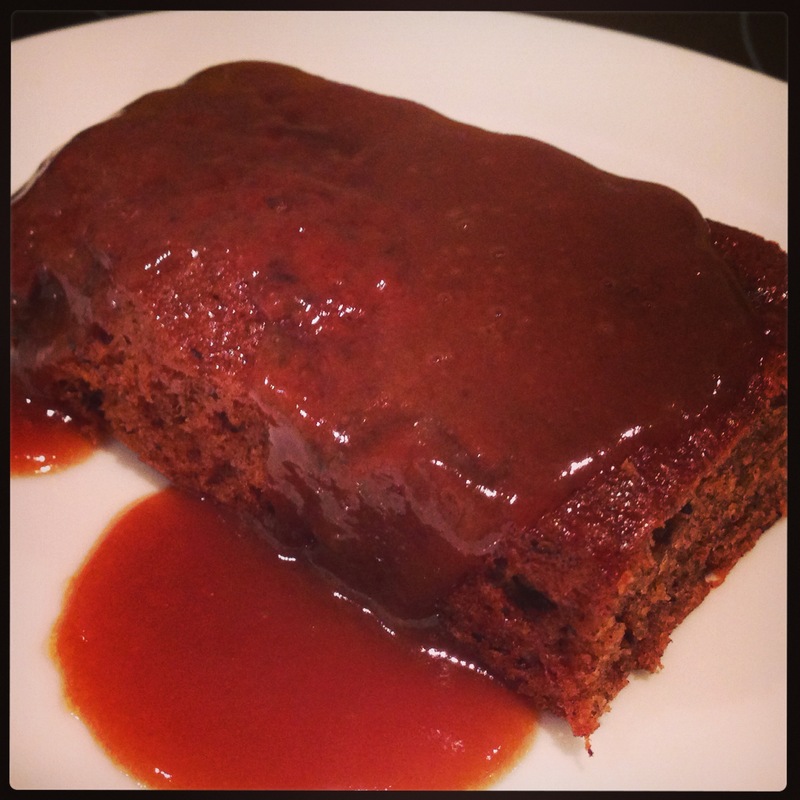 Luckily today I could make a recipe I had without changing it too much- it is not the chocolate chip cookies I wanted to make though.. but I am sure this Sticky Date Cake will be sure to blow their socks off! Mix to combine, next add..
You can make this into individual puddings by pouring into dressed molds (by dressed I mean lightly butter and flour the molds) or you can make into a cake. I would recommend making double the recipe- so you can freeze one cake for when people pop over and you want to impress. Put in a big pot and bring everything to the boil- boil 5min. This will keep in the fridge for at least a week (if you have that much self control) just heat in the microwave and stir well when ready to serve.